Dave Splash Dot Com: Too Hot For Sesame Street?! Too Hot For Sesame Street?! "Sesame Street has a long history of working with celebrities across all genres, including athletes, actors, musicians and artists. Sesame Street has always been written on two levels, for the child and adult. We use parodies and celebrity segments to interest adults in the show because we know that a child learns best when co-viewing with a parent or care-giver. We also value our viewer’s opinions and particularly those of parents. 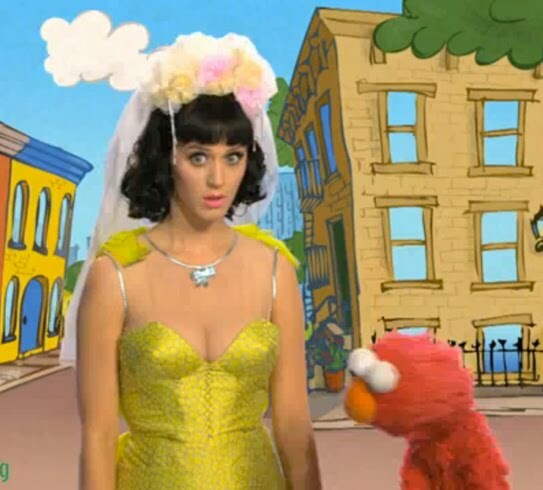 In light of the feedback we’ve received on the Katy Perry music video which was released on You Tube only, we have decided we will not air the segment on the television broadcast of Sesame Street, which is aimed at preschoolers. Katy Perry fans will still be able to view the video on You Tube"
Actually, the video has been removed from You Tube.